Action Item! To get emergency-closing texts to your phone, you MUST re-enter your number this school year: www.fcps.org/employeenews. ALL records entered before August 1 are removed! Also re-select your FOF news subscriptions right from your Employee News account. At its June 13 meeting, the BOE and Superintendent Dr. Terry Alban named Custodian of the Year Roy Baker (2nd from the left) the 2018 School-Based Support Employee of the Year and Central Office Secretary of the Year Cheryl Peters (4th from the right) the 2018 Central Office Support Employee of the Year! 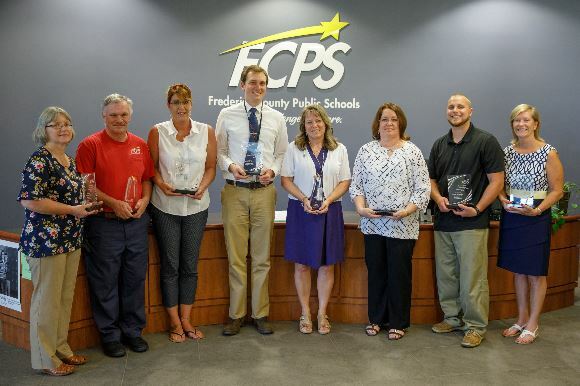 Also shown, left to right: Food Service Employee of the Year Liz Zeigler, Instructional Assistant of the Year Rachel Misner, Business Support Employee of the Year Michael Moss, School Secretary of the Year Robin Hemp, Central Office Maintenance Employee of the Year Colby McCauley and Bus Driver of the Year Donna Zoberbier. More about these amazing employees! Nominate a colleague for FCPS All-Star recognition. 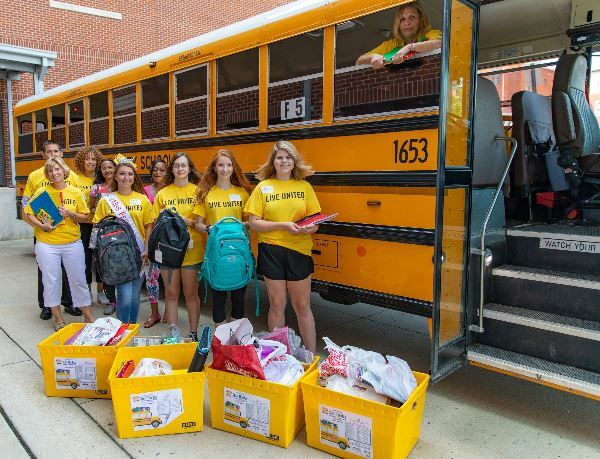 STUFF THE BUS In its 10th year, this United Way and FCPS school-supply drive was a huge success. 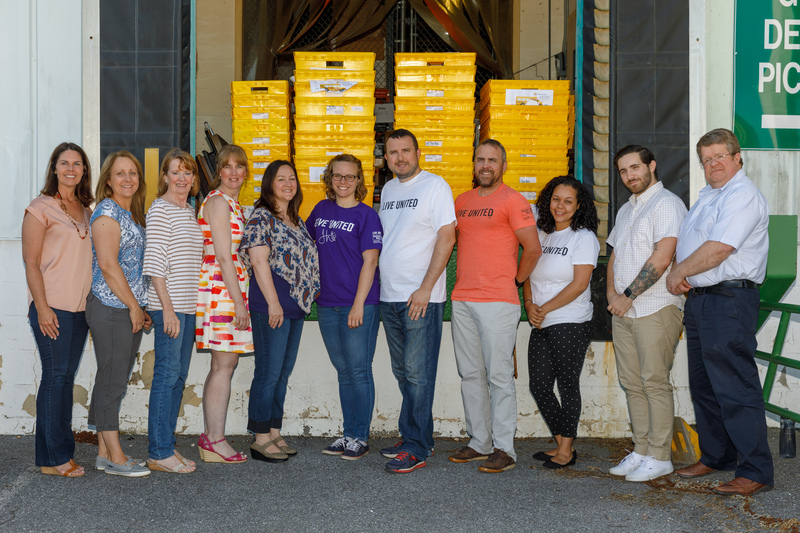 Thanks to CASS Coordinators Pam Miller, Christina Karszen, Eileen McGrath, Kristen Spear, Corrina Nobis (shown left to right in the linked photo), who helped organize the drive, and to all who donated and helped load and distribute the contributions! 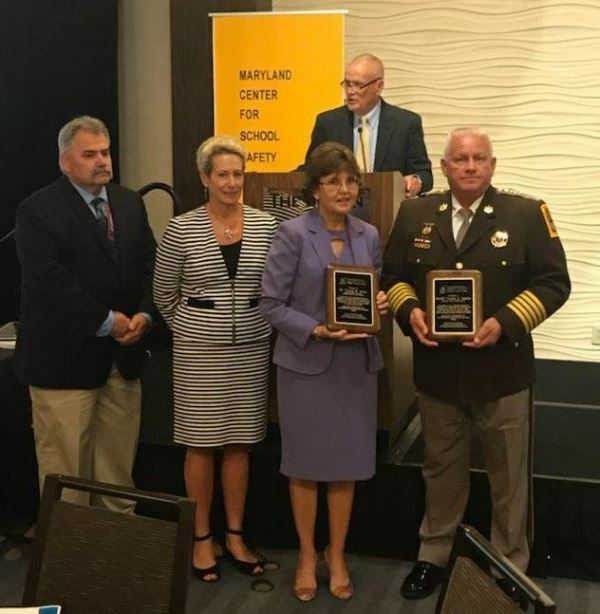 SAFE SCHOOLS The Maryland Center for School Safety recently honored Superintendent Dr. Terry Alban, FCPS Security and Emergency Management Supervisor Scott Blundell and Monocacy MS Assistant Principal Joshua Work for outstanding dedication to school safety. 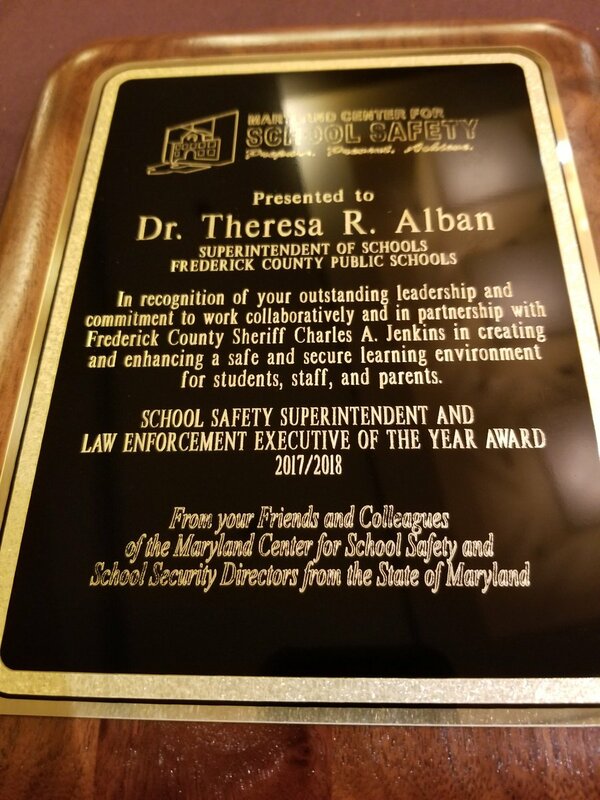 See the news release and Dr. Alban's award. Standing with their awards, right to left: Sheriff Chuck Jenkins and Superintendent Alban. GOOD STEWARDS For the 3rd year, FCPS has earned the National Procurement Institute's Achievement of Excellence in Purchasing Award. Kudos to Manager Stephen Starmer and staff: Amy Beall, Joni Carlo, Michelle Graham, Billie Laughland, Krista Long, Bill Meekins, Hope Miller, Kim Miskell, and Shane Ryberg. And an extra shout out to Bill Meekins, named the NAPCP's featured member for August. 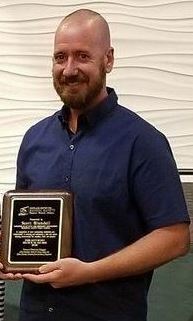 Maintenance and Operations Director Robert Wilkinson Jr. earned the 2018 Pinnacle of Excellence Award from the Association of School Business Officials International. NATION'S BEST In National SkillsUSA competition last month, 11 students placed in the nation's top 10. We're proud of their teachers: Phil Arnold, Doug Hering and John Kriner. YEAR'S BEST The BOE honored Substitute Teacher of the Year Juana Anderson at its June 13 meeting. June's StartUp Frederick winners were Oakdale HS students instructed by Technology Education teacher Kaelyn Stieg. Niche.com rated FCPS a top school system in Maryland, with an A- grade overall. THE END OF AVERAGE Join in the Superintendent's September 11 summer book Twitter chat on Todd Rose's The End of Average. Watch Discussion 1 and Discussion 2 with Superintendent Alban and Mount St. Mary's University Palmieri Center for Entrepreneurship Director Christine Adamow, FCPS LYNX Project Manager Michelle Shearer and FCPS Teacher of the Year Tim Snyder. 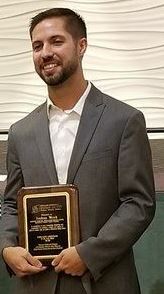 $$$ The deadline to apply for the fall round of Franklin and Bess Gladhill Fund for Agricultural Education and Gifts for Education grants is Thursday, September 13. BACK-TO-SCHOOL Eliminating Achievement Gaps (EAG) and FCPS sponsor the countywide back-to-school CommUNITY Resource Fair Thursday, September 13, 6 p.m.-8 p.m., at Tuscarora HS. See the video! GREAT PARTNERS See our new Educational Partnerships Annual Report! Since our May newsletter, FCPS has signed partnership agreements with the Asian American Center of Frederick, Holly Hills Country Club, and iTour. BUSY SUMMER Here's a little more of what we did over the summer. TRANSITION When starting a new position or supervising someone who is, observe FCPS procedures for tracking ID badges, keys, parking passes, phones, computers and more. USING ROOMS OR FIELDS All employees scheduling rooms or fields to use during the regular school day or after hours/weekends must enter a Use of Facility Request form into School Dude FS Direct. 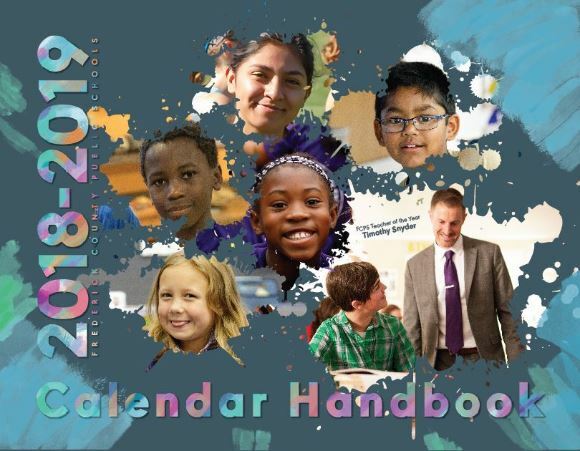 This includes use of facilities at your own school/office or another FCPS location. That's how many people FCPS FindOutFirst (FOF) reaches. *Urge parents to pay close attention to updating their email address on the Student Information Card. Clear writing will help staff update eSchool to generate the proper FOF associations. Parents no longer need to update their school/grade level selections each year, but they do need to provide the school a current email address! The FCPS Insider is published monthly August-May by FCPS Communication Services, 191 S. East St., Frederick, MD 21701. It features employee news and accolades. Brief information, subject to edits, and captioned photos for possible inclusion are due to Dian.Nelson@fcps.org by the 15th of the month. For more information: 301-696-6911.